I hope you had a great weekend. And if you’re in the UK, have a lovely Bank Holiday Monday today. 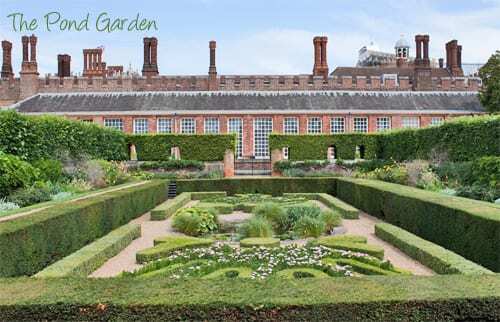 Earlier this month, I visited Hampton Court Palace Gardens in Surrey with my garden designer friend, Lisa Cox. We bought tickets which gave us access just to the formal gardens, over sixty acres of them! 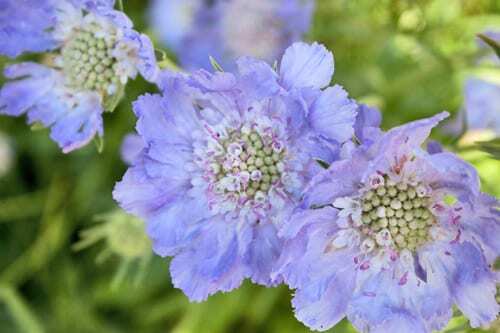 We started off our visit by entering the gardens via the ticket office near The Wilderness and walked the length of the Broad Walk herbaceous border. 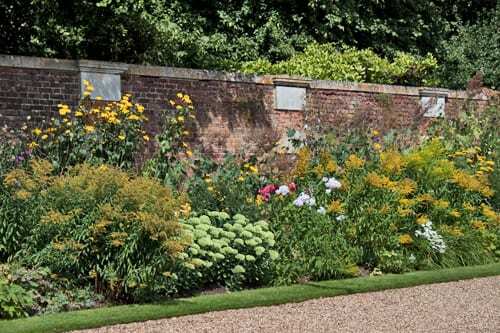 The border was introduced in the 1920s and at 580 metres, it’s the longest herbaceous border in Britain. 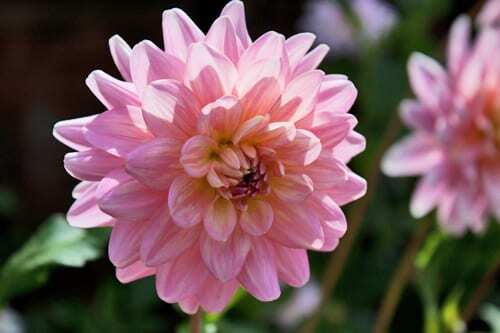 In the summer, it’s bursting full of beautiful blooms including sedums, scabious and dahlias. 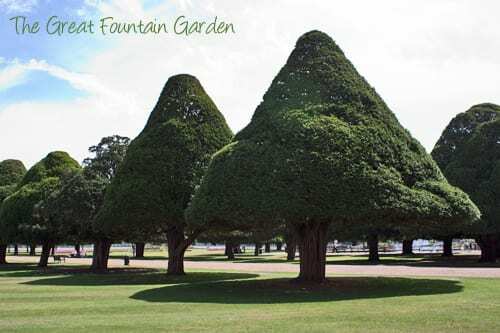 I love the yew trees in The Great Fountain Garden. 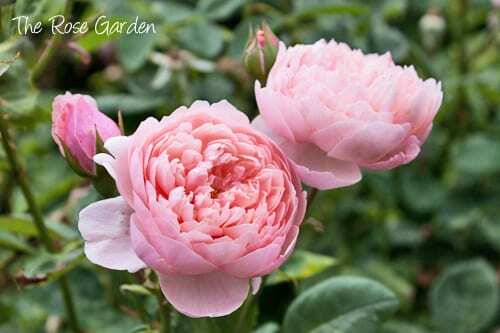 They were planted by Queen Anne (1702-1714) and were originally small clipped specimens. Their shape reminds me of the way that I used to draw trees when I was a child…triangular and in straight lines. 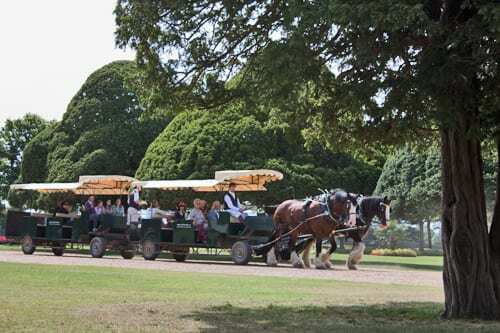 Whilst we were there, we saw people having a tour of the gardens via horse-drawn carriage…what a lovely way to take everything in, at a leisurely pace. 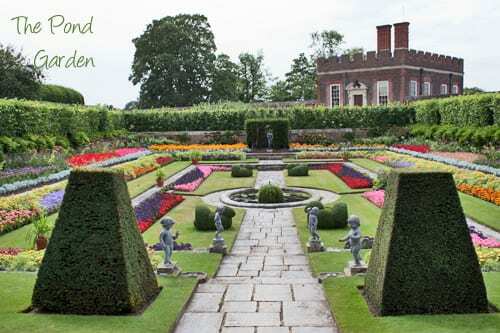 Next stop was The Privy Garden…one of my favourite gardens. Even though it doesn’t have a lot of flowers, I love the topiary trees. 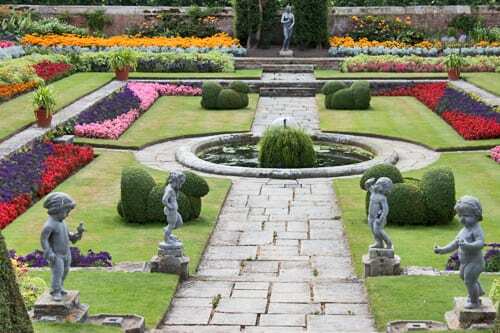 There are two Pond Gardens. Their ponds were used for holding freshwater fish prior to cooking in Henry VIII’s kitchens. The planting in this second Pond Garden below stopped not only me, but lots of other people in their tracks. It was a real explosion of colour. 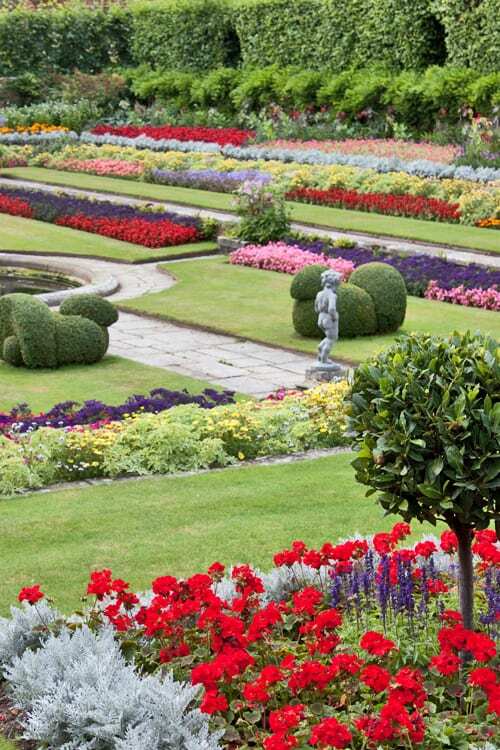 And what gave it its impact, I think, was the fact that the planting was in blocks of all one tone, rather than masses of different coloured flowers mixed together. 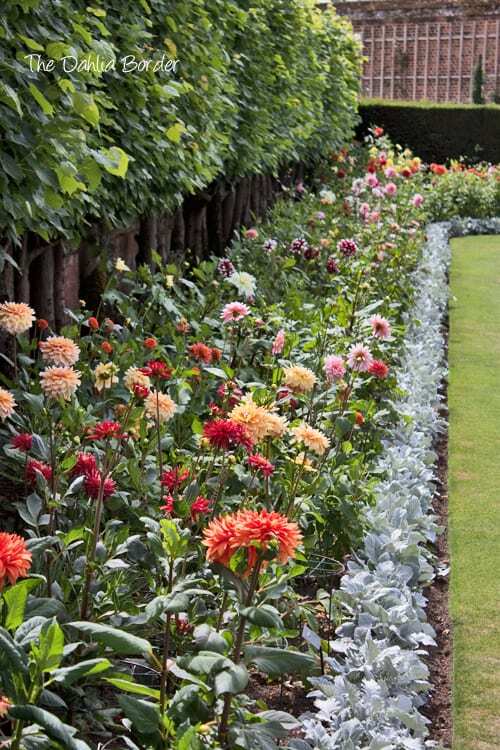 The dahlia border was stunning and it was the perfect time to see it, in its full glory. 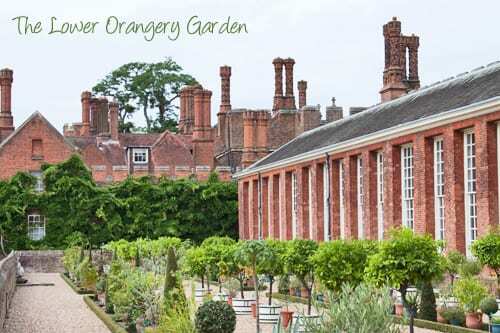 In the Lower Orangery Garden, there’s a tender and exotics collection, including orange and lemon trees. And last, but not least, The Rose Garden…well worth a visit, just for the intoxicating scents alone. 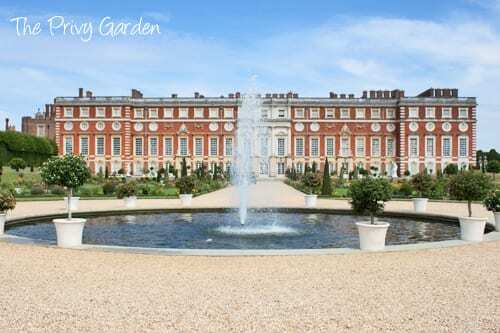 We had a wonderful time at Hampton Court Palace Gardens and I’d thoroughly recommend a visit. Why not make your way there today? 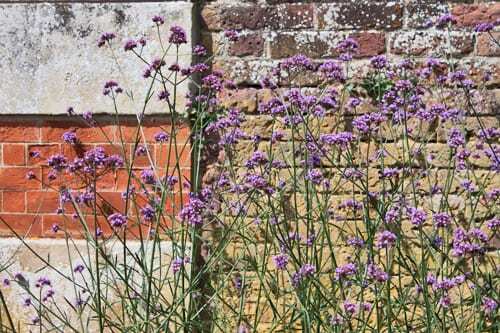 Gardens only tickets, which give you access to the formal gardens, are available from March through to October. 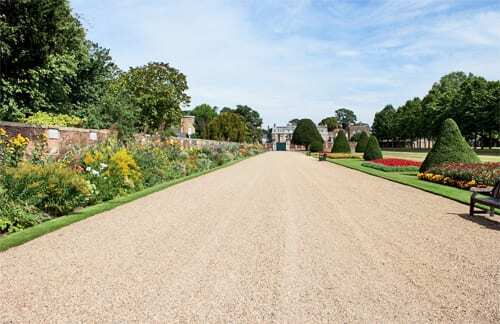 If you visit in the afternoon, you may like to take part in a Guided Garden History Tour. 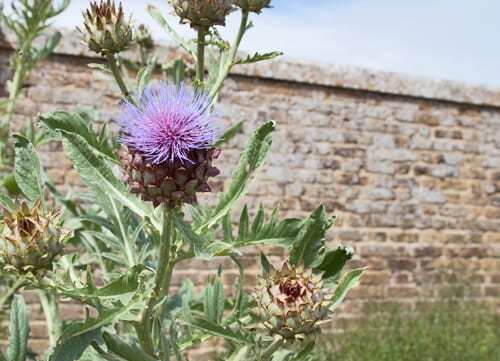 You’ll explore the Formal Gardens and see ‘behind the scenes’ in the Glasshouse Nursery. 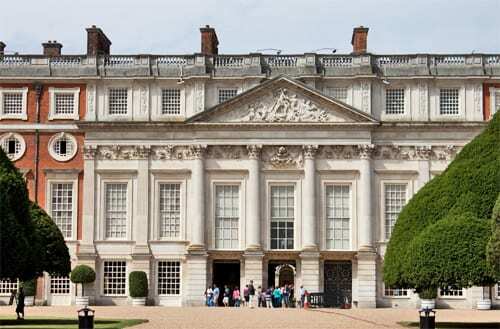 This one-hour tour starts at 2.30pm and the meeting point is the Gardens Exhibition. 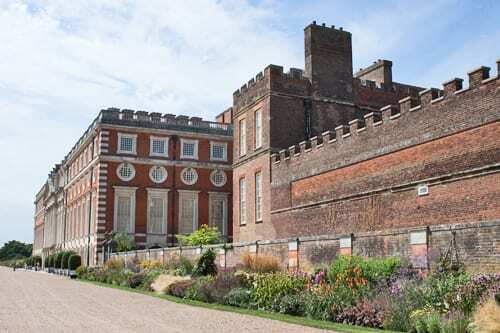 Historic Royal Palaces (HRP) is an independent charity that looks after Hampton Court Palace, the Tower of London, the Banqueting House, Kensington Palace and Kew Palace. If you’d like to keep up-to-date with news from HRP, they’re on Twitter and Facebook. Plus they’re also on Instagram. What a great tour, Rona! So appreciate you sharing this. 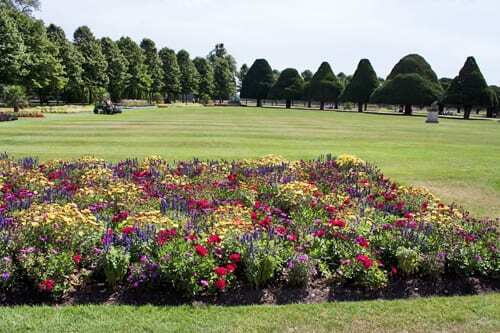 The scale of the grounds is breathtaking and your photos really show the scope and beauty of the plantings. 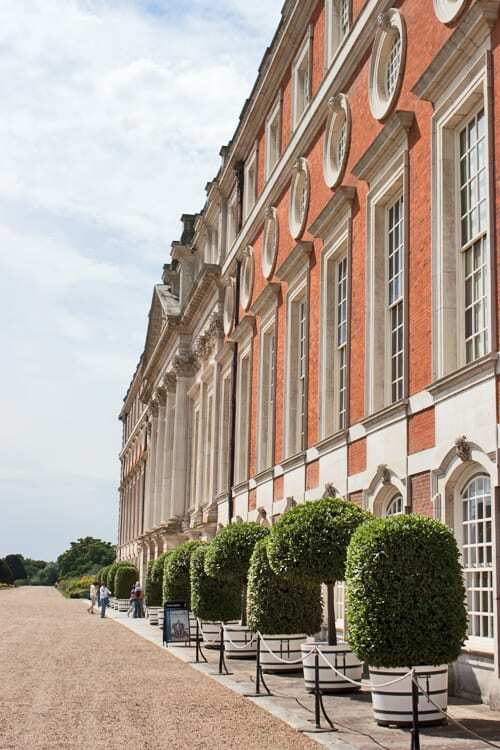 I haven’t been to Hampton Court since I was a teenager so this was a real treat!